JCrew T-shirts: $1.99 in-store, final sale. For anyone suffering from FWS (Flashening Withdrawal Syndrome), JCrew still has some good deals in store on sale merch. My local store had tons of these shirts for $1.99. 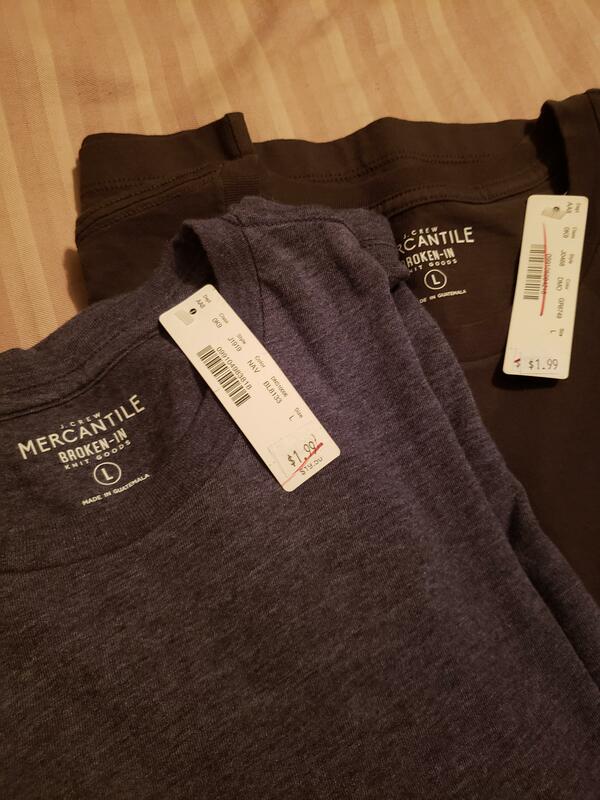 Mercantile quality aside, I think that’s pretty good for a basic tee.